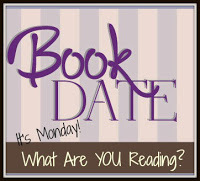 Book By Book: It's Monday 5/15! What Are You Reading? Happy Monday! Ahhh...the house is silent. I love the start of a new week. Hope all the mothers out there had a wonderful Mother's Day! I spent the day on boring, must-do tasks - refilling medications for the week, paying medical bills, etc. - but then enjoyed a lovely evening with my two sons and my husband. We had a delicious dinner out, came back to the house for ice cream, and I opened a pile of thoughtful gifts. My sons hung around for a while, and we watched some favorite, funny TV shows together. Best of all? 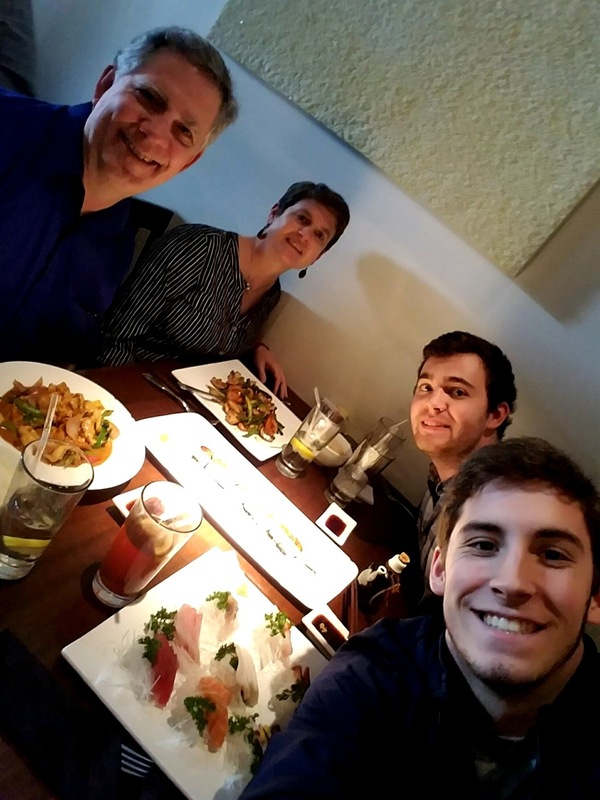 Both of our college-aged sons agreed that the more they see of other people's families and parents, the more they appreciate ours. Isn't that sweet? Made my day! I finished my next review book for Shelf Awareness, Everybody's Son by Thrity Umrigar, due out June 6. I requested this one special because I loved the author's earlier book, The Space Between Us, and her latest novel lived up to my high expectations. It's about a young black boy from the projects who is fostered and then adopted by a wealthy white family in the suburbs...but there is a whole lot more to it than that. It was compelling and thoughtful - I loved it. I'll post my SA review when it is published. Next, I turned to a book group pick for this week: The Handmaid's Tale by Margaret Atwood. I bought this book at least 5 years ago and have been meaning to read it ever since. I'm glad my book group finally gave me the push to move it up the list! It is just as amazing and powerful as I've heard, and I am totally engrossed. Now, I really want to see the new TV show on Hulu, but we don't subscribe to it! I am still listening to The Hate U Give by Angie Thomas on audio. It's a YA novel about a black teen girl whose friend dies in front of her after being shot by a white police officer. It is just as powerful and amazing as everyone has been saying. Listening to it on audio is particularly moving - Starr and her family feel like real people. My husband. Ken, is reading a novel I put in his Easter basket: The Bone Orchard by Paul Doiron. When I heard this mystery series is about an ex-game warden in Maine, I knew he'd like it (we both love the outdoors and Maine!). He's says it's very good so far. Jamie, 22, says he is on a science fiction kick. He is now tackling Battlefield Earth by L. Ron Hubbard, a chunkster at over 1000 pages! He was surprised when we told him Hubbard founded Scientology, but he is enjoying this sci fi classic. Craig, 19, never reads, but it was a momentous occasion this weekend when he had to drive to Atlantic City and asked me where our old audiobooks were kept! He wanted to listen to Harry Potter and the Goblet of Fire, but alas, it is on cassette tapes, which he can't play in his car. He settled on The Lightning Thief, another old favorite, but then forgot to bring it. Last week, he re-listened (for about the 20th time) to our old family favorite, Looking for Bobowicz by Daniel Pinkwater. If you have kids and have never listened to this audiobook, you must bring it along on your next road trip - it is hilarious and wonderful! My Summary of Books Read in April - just 4 books but all great! I hope you are enjoying The Handmaid's Tale. I first read it years ago, and then re-read it after I started blogging. I saw the movie in the 90s...and now I'm watching the new show on Hulu. It feels scary/real, and as if these events could happen. It's amazing - I'm about halfway - and I'm really wanting to see the Tv show! I liked No Tomorrow. I am kind of sad it won't be back next season. Aw, it won't be back? I kind of suspected after I saw the last episode. I'm sad, too! I enjoyed season 1 though. I agree with you. I listened to The Hate U Give and felt like I was a part of that family. It is such an important book. I read The Handmaid's Tale so very long ago and have no plan to revisit it again in any form. I just finished it today, Cherlee - just amazing from beginning to end. I'm going to miss Starr and her family! And you are right - such an important story - everyone should read it! I still need to pick up a copy of The Hate U Give. I had a great week of reading and a fun mother's day. Come see what I'm reading now. It's just so good! Easpecially on audio. Definitely give it a try. I'm glad to hear that about Everybody's Son! I'm looking forward to reading that one. How lovely that your sons said that! As someone in the middle (living close to my parents with kids of my own), I am so grateful for my family and try to tell my parents that often. It was so good! Makes me want to read more of Umrigar's backlist - I think The Space Between Us is the only one I've read before this one. Sounds like a really great mother's day evening and so nice to be appreciated by your sons. The Hate U Give does sound very powerful. A very nice evening, Kathryn! Love seeing your family together! Thanks, Kellee! Our library has a huge holds list for the book, too - I checked for a friend of mine. Must be the TV show! I am so happy you are enjoying The Hate U Give as much as I enjoyed it. That book is so powerful! Happy Mother's Day, Sue! Oh, Ricki, it was SO good - I just finished it this morning while weeding the garden :) Everyone needs to read it!